Sunday. Another year like this last year and at least we'd still be alive. I'm assuming that all reading this are alive, even if some may not be sure until the hangover passes. It's raining up on the Russian River and my old home in Napa is under water. Some small portion of it is under water. I can tell, not because I spent twelve years living in Napa, but because it is being reported on the news. Without the local news reports, this last year would have been a pretty dull affair. Bridging that divide - what's happening in the wider world we know about through the media and what's happening in our own humble existence - is probably something we need to master for survival, but I don't know how to do it down here in the trenches with my eyes closed and my brain browning in oil. Thus and so, here we go, heading toward the light of El Dorado. I assume from your comment this last year has browned your brain as well? What light of reason you may once have enjoyed: down the drain in Oakland? You're on your own. I'm heading for the lights of Las Vegas and the El Dorado hotel where I've reserved a room with a hot tub not too far from the crap tables. See, you mention the wider world and self begins babbling hot tubs and crap tables at non-existent Las Vegas hotels. I don't have answers. I live in this internal journal space for most of my waking hours. My ambition is not to decrease the time I spend in my own head, but to increase my hours sleeping. Most of the people I know would give a kidney for a good night's sleep. The available hours to get a good night's sleep. But, what the hell. I have a feeling many things will be revealed this year about the job, the art, the life and - who knows? - the state of the nation. Will the world be as muddled this year as it was this last? Will I still be commuting back and forth to an office in Oakland? Yes and no, wait and know, here I go; on toward the light of El Dorado. 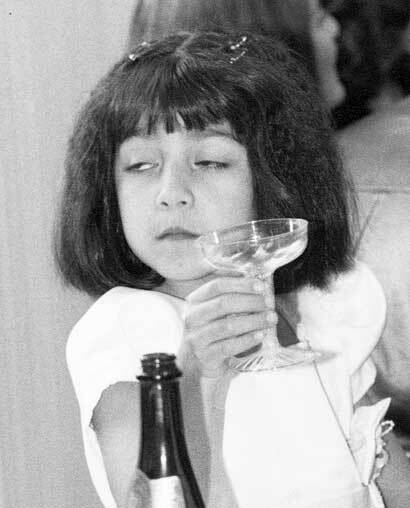 The photograph was taken at a wedding in Oakland with a Nikon F5 mounted with a 135mm f 2.0 Nikkor lens on TMAX-400.